Aloha Everyone! : Looking for a good point and shoot camera? If you care about image quality from a point and shoot camera. I believe Fujifilm F60fd is a good choice. High Megapixel has nothing to do with image quality. Size of the sensors inside camera and lens quality makes the differences. The F60fd come with a 1/1.6" sensors which allow you take photos as good as Canon G10 or Panasonic LX3. Those camera will cost you over $300.00. 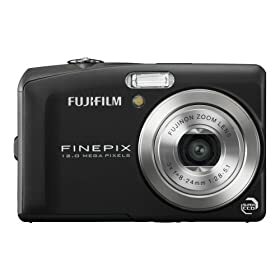 The Fuji F60fd is selling at $154.49 After Rebate from Amazon with free shipping at this moment. However, If you are brand lover, stay with Sony or Canon as you like. After all, have a good camera doesn't guarantee good photos.